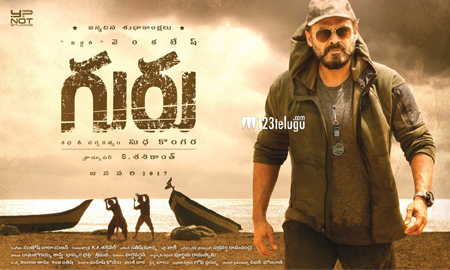 Venky’s latest flick, Guru wrapped up its shoot and is currently in its post-production phase. Meanwhile, the latest update reveals that the satellite rights of the film have been sold for 5 crores to Gemini Television. Directed by Sudha Kongara Prasad, this movie has Ritika Singh as the female lead. Guru is the remake of the hit Hindi film Sala Khadoos which had Madhavan in the main lead. S.S.Thaman composes music for this movie which is slated for a January 26th release.